The benchmark BSE Sensex opened on a volatile note early on Monday on short-covering by investors amid weakness in Asian markets. Buying activity in pharma, technology, banking auto and FMCG stocks, influenced market sentiment. 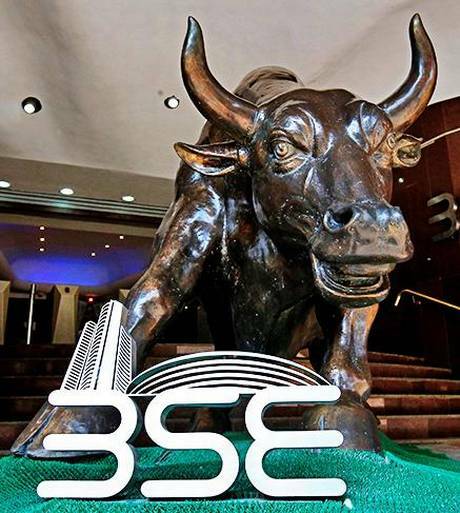 The benchmark BSE Sensex was trading 28.05 points, 0.08 per cent, lower at 35,714.02, after swinging over 200 points between highs and lows of 35,910.67 and 35,675.02, respectively. The gauge had plunged 572.04 points on Friday. NSE Nifty was trading lower 25.25 points, or 0.23 per cent, at 10,728.75. Top losers were Hero MotoCorp, Vedanta, Bajaj Auto, Bajaj Finance, Asian Paint and HDFC Bank fell up to 3 per cent. On the other hand, major gainers were Sun Pharma, Infosys, TCS, SBI, ITC, ICICI Bank, Tata Motors, IndusInd Bank, Kotak Bank, Axis Bank, Maruti Suzuki, L&T, Bharti Airtel, M&M and Coal India, rising up to 2.12 per cent. According to experts, global equities were choppy as a partial US government shutdown that entered was set to stretch through Christmas, after Congress adjourned for the weekend with no deal in sight to end an impasse over funding for President Donald Trump’s wall on the US-Mexico border. Also, investors are nervous after reports emerged that Mr. Trump privately asked cabinet members if he had the authority to fire Fed Chair Jerome Powell after interest rates were increased and the stock market tanked. Meanwhile, on a net basis, foreign portfolio investors (FPIs) bought shares worth ₹ 134.14 crore, while domestic institutional investors (DIIs) sold shares worth ₹ 488.55 crore Friday, provisional data showed. Asian markets were trading lower following Friday’s losses on the Wall Street. Hong Kong’s Hang Seng was down 1.29 per cent. Shanghai Composite Index shed 0.49 per cent in early trade. Korea’s Kospi fell 0.38 per cent and Taiwan index slipped 0.20 per cent. Japan’s markets are closed Monday. The US Dow Jones Industrial Average ended 1.81 per cent lower Friday.